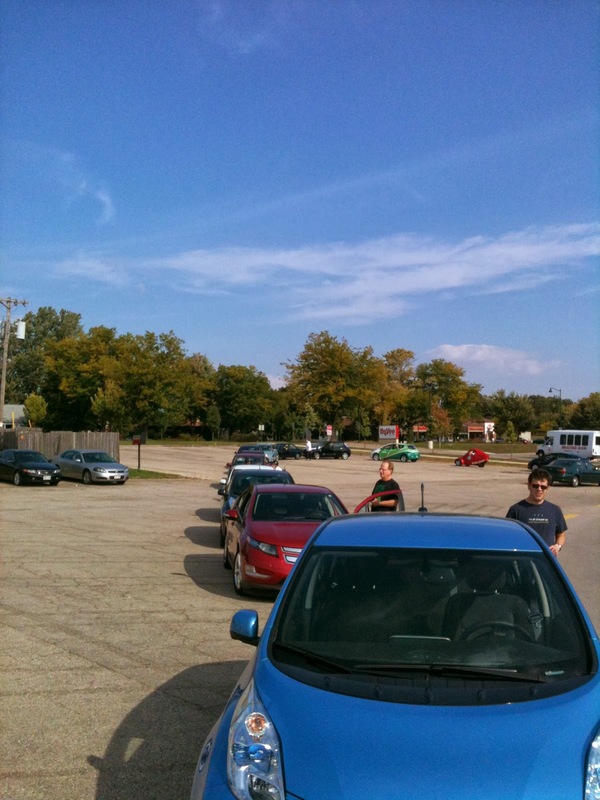 Over 25 Electric Vehicles on Display - Demonstrations - Test Rides, including Home Built and Concept Vehicles. All Electric EVs (Nissan LEAF, Tesla, Flux Mopeds), as well as various Hybrids (Plug-In Prius Mods, Ford C-Max Energi, Chevy Volt, and Wheego) were all equally represented. Great People, Great Ideas and a lot of Fun. National Plug In Day 2013 in Madison Saturday, September 28. 10 am-2 pm. We will celebrate with displays by individuals and businesses, test drives, speeches, food, and more, including reading of the city's Proclamation of the 28th as National Plug In Day. 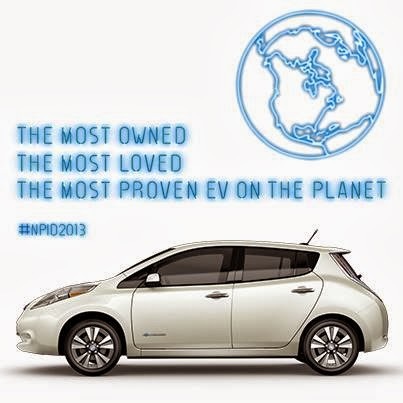 Do you own an EV? Then be sure to register and display it at the event! Madison Gas & Electric will be on site to tell you about their electric vehicle charging network around the Madison area and answer your power related questions. Smart Toyota will show off their Plug In Prius and explain why 12 miles electric range can make a difference in your fuel bill. Full Spectrum Solar will share their expertise of home charging stations and explain how you can plug your electric car into the sun. 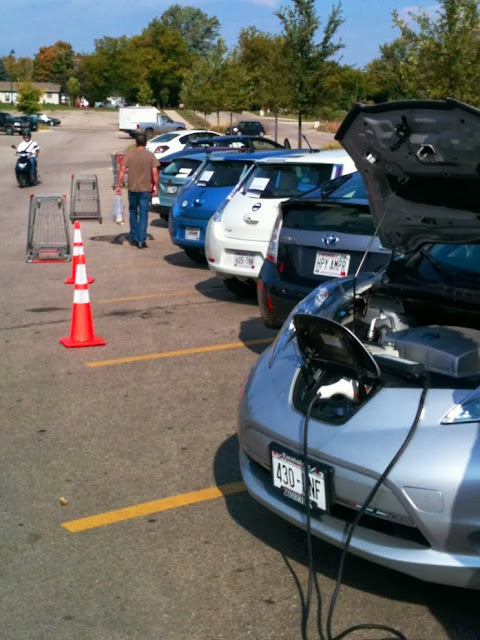 Madison Leafers group will provide test rides of their members Nissan Leafs, will answer your questions and share their experience. Wisconsin Electric Vehicle Association President, and owner of EV Powers Hybrid Battery Service and Repair will answer your battery questions and discuss EV options. Flux Mopeds, Madison's newest, greenest scooter company will display and offer test rides of their clean, quiet, 100% electric mopeds. Ride Green Bikes of Milwaukee will show of their latest offerings along with test rides. 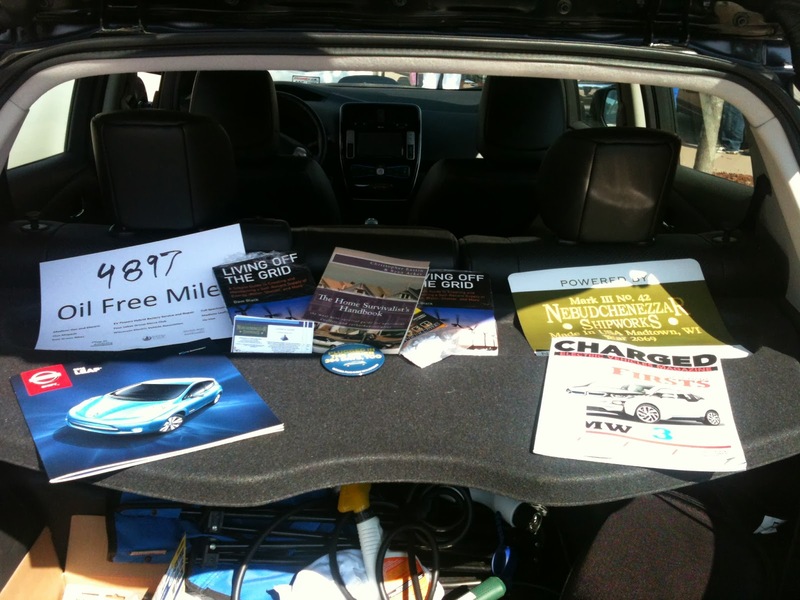 Plenty of electric vehicle owners that can tell you what it's like to own an electric vehicle! Jul 10, 2013 - It's believed that electric vehicles (EVs) sales will take off when there is a large, reliable, publically accessible charging infrastructure. Jul 17, 2013 - We have been writing about the e-NV200 for so long the latest announcement by Nissan of its test with DHL Japan is almost a non-event. Jan 16, 2013 - Buy $300 worth of solar panels, ****Project Off Grid Nissan Leaf****, plug it in ... Madtown EV Enthusiasts, check out our Off Grid Living Page:. sources we link to in any article. Browse through our store and shop with confidence. leave the store. We Ship Immediately. 100% Guarantee.